I've seen my fair share of eccentric things in my northwest Chicago neighborhood of Logan Square — Chicago's hipster equivalent to Williamsburg, Brooklyn — impromptu 2 a.m. marching bands, anonymous midday drive-by eggings and vehicle fires that firefighters never come to put out. One of the strangest is my encounter with the BYD e6, a relatively large, Chinese-made electric crossover with a reported range of up to 186 miles. This vehicle hasn't appeared at a U.S. trade show for nearly two years, and it hasn't really been mentioned by the automotive media — until now. Not only did I see the e6 at a small, nondescript purveyor of quirky EVs, but I was able to drive it, too. For those rusty on Chinese cars, the BYD e6 was one of the few vehicles that actually had (and reportedly still does have) a good chance of coming to the States. BYD — short for Build Your Dreams — is one of China's largest, privately run automakers. It's also one of the largest suppliers of rechargeable batteries. The e6 at Green Wheels, an electric- and hybrid-vehicle supplier and maintenance facility, is part of BYD's strategy to test the U.S. waters. “This is probably the only one in the country,” said Doug Snower, owner of Green Wheels. This e6 has been making the rounds; it had just returned from a Berkshire Hathaway get-together in Omaha, Neb. Berkshire Hathaway CEO Warren Buffett bought a nearly 10% share in BYD in 2009 based off the company's then-strong prospects. One thing the e6 has going for it is size. 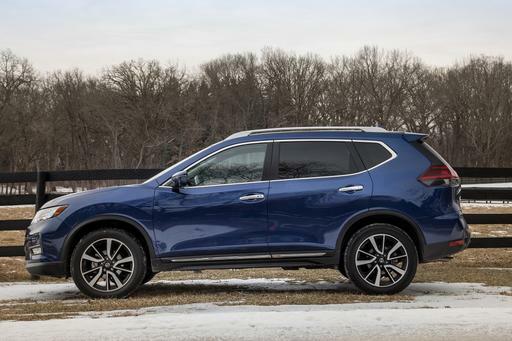 At 179.5 inches long and 71.7 inches wide, the e6 is about the same size as a 2013 Honda CR-V, making it substantially larger than either the Nissan Leaf or the Ford Focus Electric. It also has a taller ride height, and there's plenty of knee and legroom in the rear seats, as well. I was impressed with this Chinese car's interior. Materials are on par with those found in a Toyota Corolla or Kia Forte, which is to say it was adequate but didn't standout. Interior style and ergonomics reminded me of the Toyota Prius v (even though the e6 came out first). There's a large digital display for the backup camera image. Snower told me the model I tested had features — leather upholstery, power-folding side mirrors and a passenger-side camera — that would be on base models sold here. The e6's driving experience was rough around the edges, however. That's somewhat understandable because the test car has been heavily used. Snower and Green Wheels' operation manger Carey Chickerneo told me it hadn't really been serviced in close to a year. "All the service manuals are in Chinese," Chickerneo said. In a nutshell, braking and steering felt crude and uneven — there's a dead area in the middle of the brake pedal travel that's especially unnerving. Hopefully, these tuning issues likely won't make it to the retail model. During the hourlong test drive, which included about 14 miles of city commuting and a short highway stretch, the e6 felt isolated and well-planted; it absorbed bumps and inconsistencies well. Like the Nissan Leaf, the BYD e6 had strong initial pickup, but overall acceleration felt more sluggish than the Nissan. The e6 tops out at 87 mph; the Leaf can get to about 90 mph. The electric powertrain made a few strange noises, including a shudder at initial launch that was preceded by the familiar oscillating hum of the electric motor. As I accelerated, there was another secondary vibration and buzzing noise from the engine bay. If I didn't know better, I would have assumed it was an on-board gasoline generator kicking in like it does on the Chevrolet Volt. I have no explanation for these noises. It could have been a loud air-conditioning compressor, but it's possible the e6 has some of the same issues that Cars.com Executive Editor Joe Wiesenfelder mentioned in his Fisker Karma review. The BYD e6 has a fairly unique battery chemistry known as a lithium iron phosphate. The chemistry is supposedly more environmentally friendly and means the battery experiences less capacity decay over the lifetime of the vehicle. A Nissan Leaf could lose up to 30% of its capacity after 10 years of driving, for instance. The e6's massive 61.4-kilowatt-hour battery is about 2.5 times larger than the Leaf's battery and has a reported 186-mile range. Snower told me he's driven the BYD more than 150 miles on a single charge. The battery is also supposed to be more stable in accidents, though the automaker has recently come under scrutiny after a BYD e6 taxi exploded in a high-speed accident in China, according to the New York Times. The Chinese-spec model can be charged by a powerful 100-kilowatt charging cabinet, outputting 360 volts DC and an AC output current of 300 amps, which can charge the big battery completely in less than 40 minutes, according to BYD. The only issue with the charger is it's a Chinese standard that's not used in the U.S.; Snower has to charge the model at a BYD charging cabinet he installed in his brother-in-law's house. He told me that BYD is working on putting SAE-compliant charging options on the e6. The BYD e6 was supposed to go on sale in the U.S. earlier this year; the automaker now says fleet sales will start by the end of the year with retail sales occurring even further out, according to The New York Times. The e6 sells for approximately $58,000 in China. Snower expects it to be priced around $50,000 here, making the e6 a tough sell. The full-sized 2012 Tesla Model S, which just went on sale, is significantly larger than the BYD e6, can carry up to seven people and gets about 140 miles of range (with the smallest battery). It has a starting price of $57,400. Then again, the e6 is marketed as a taxi and rental car in its home country. It will likely be peddled the same way here. The BYD e6's high projected range and versatility will probably make it one of the first viably marketable Chinese cars sold in the U.S., even if those customers aren't retail shoppers just yet.